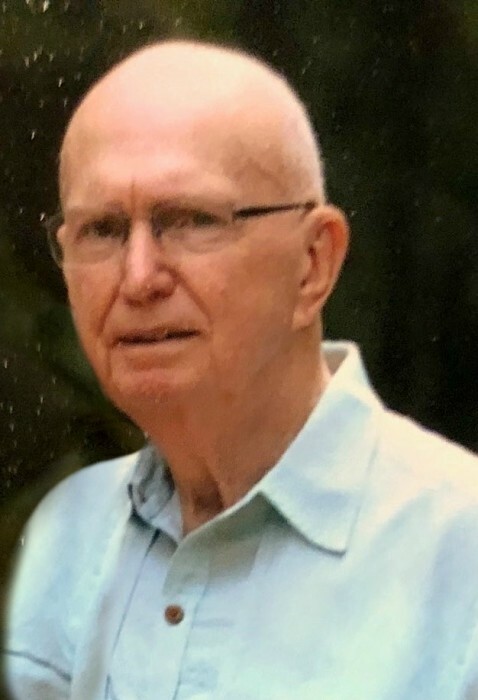 James (Jim) Harrell Sumrow, age 86, of Humble, Texas passed away on Monday, October 8, 2018. James was born October 7, 1932 in Ranger, TX. James (Jim) is survived by his loving wife of 67 years, Doris (Laverne) Sumrow; children, James Harrell Sumrow II and wife Darlene Sumrow, Belinda Gail Sumrow; grandchildren, Heather Elise Williams and husband Daniel Williams, Heath Allen Sumrow and wife LeeAnne Sumrow, Beau William Sumrow and wife Brittney Sumrow; great-grandchildren, Morgan Lee Sumrow, Ayla Joy Williams, Abby Elise Williams, Palmer James Sumrow, Carter Daniel Williams, Janie Reese Williams, Tucker Gregory Sumrow and Trey William Sumrow; siblings, Dorris Crawford; Brother Tommy Coats & wife Jean Coats; sister-in-law; Linda Bloomingdale; brother-in-law, David Bloomingdale and a host of nieces and nephews and friends also survive. James was preceded in death by; parents Bill Sumrow and Pearl Sumrow and a sister, Letha Mae Barbee. The family will receive friends for a visitation Tuesday, October 9, 2018 from 5:00 PM to 8:00 PM at Brookside Funeral Home, 13747 Eastex Freeway, Houston, Texas 77039. A secondary visitation will take place on Wednesday, October 10, 2018 from 5:00 PM to 7:00 PM at Kimbrough Funeral Home, 300 West 9th Street, Cisco, TX 76437. A funeral service will be held on Thursday, October 11, 2018 at 10:00 AM in the Chapel at Kimbrough Funeral Home; followed by a burial at Oakwood Cemetery, Cisco, Texas 76437. Fond memories and expressions of sympathy may be shared at www.brooksidefuneralhomelauder.com for the Sumrow family.